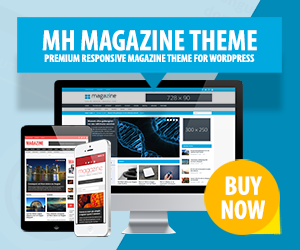 Feminine WordPress themes are ideal for online magazines about fashion, cosmetics, beauty, lifestyle and for personal blogs about hobbies, love, design or traveling. Light pink, purple or pastel colors as well as a neat and well-arranged layout is typical for feminine WordPress themes, yet they can look completely different in color or overall design. Depending on what type of website you are running – business, leisure, personal – and on what you want to accomplish with your online presence, you can opt in for various beautifully designed, feminine or girly WordPress themes which all have their own features and options. If you are running a fashion online magazine, you can for example present your latest fashion styles, street styles or else using a nice slider on your front page. Therefore, some feminine WordPress themes offer flexible slider widgets amongst other custom widgets to prominently present your content. Besides that, if you are planning to launch business websites with a feminine touch or online shops, then displaying your products and contact details is of great importance, so make sure, that you have all needed features to accomplish this – show social icons that link to your social media channels, social sharing buttons, contact page with contact forms or else. We’ve collected some of the most beautiful, popular, professional and best rated feminine WordPress themes which are ideal to create all kinds of different online presences with a feminine touch. If you are looking for suitable templates for your feminine WordPress website, be sure you have all needed features and options included when selecting your favorite WordPress theme so that you can create appealing websites according to your own needs and requirements. Please see our collection of awesome feminine WordPress themes and take your website to the next level. Isabelle is a chic and beautiful WordPress theme for women who want to create a feminine magazine or blog in no time. The Isabelle WordPress Blogging Theme is full of features to create all kind of stylish online magazines about topics like for example fashion, makeup, beauty, parenting, lifestyle, weddings, decorations, travelling and many more…. Kelly Feminine WordPress Theme is the ideal template for sweet and cute looking websites with a feminine touch. Kelly offers a fully responsive layout, custom header logo, featured slider and widgetized homepage. Through many great customization options and functions, you can set up an attractive website and thus please your users, visitors or guests, e.g….